What If You Could Be Amazed By The Number Of Investment Choices In The Market? What Would Your Best Strategy Be? Opportunity Is Everywhere. But The Question Is Where Do You Look? There will be a Market Chat FREE seminar organize by CIMB Investment Bank Berhad and Bursa Malaysia Berhad at Kingwood Hotel, Sibu. You can find The Answers At Market Chat 2011. This talk expose all stock markets investor on popular investment topics such as Market Outlook, Online Share Trading and Futures Trading, will be covered in this seminar. You are invited to come and listen to the financial experts. You will be surprised at how much investment choices there are in the market right now. Discover them and you will be more than ready when opportunity knocks and make year 2011 the best financial rewarding year ever! Venue: Kingwood Hotel, No. 12, Lorong Lanang 4,96008 Sibu, Sarawak. Don’t miss this must attend event if you are at Sibu, Sarawak. For registration, please call i*Trade@CIMB at 084 367700 or 084 367788 by 14th January 2011 (Friday) to reserve your seats. 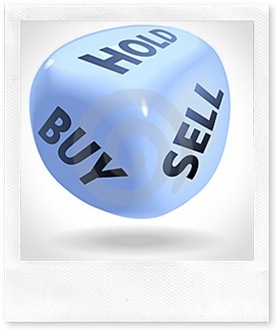 This entry was posted on Thursday, January 13th, 2011 at 9:44 am	and is filed under stock market. You can follow any responses to this entry through the RSS 2.0 feed. Both comments and pings are currently closed.